Use a cookie sheet lined with parchment paper and lay down pretzels. 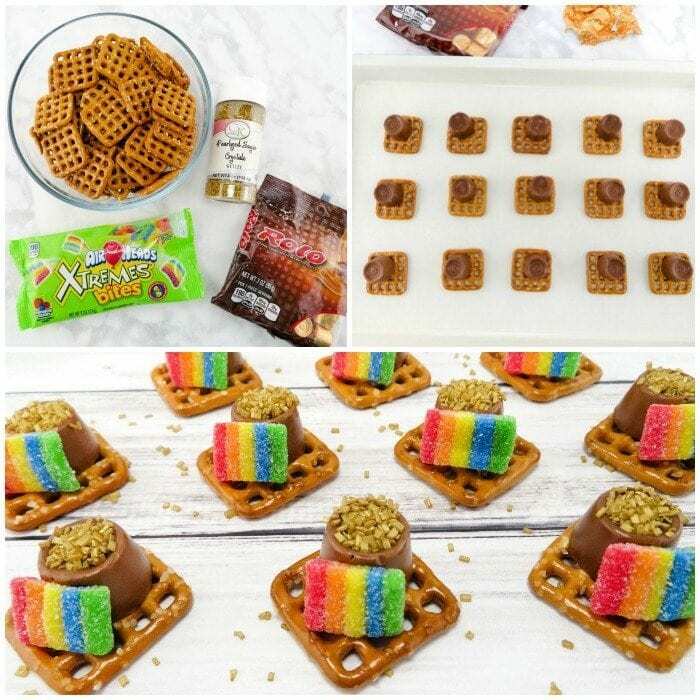 Add 1 rolo candy in the corner of each one and put in oven at 250 degrees for 2-3 minutes, just enough so that the chocolate adheres to the pretzel. Take out and immediately add edible glitter to top of rolo and put 1 rainbow airhead leaning up against the rolo. Edible pots of gold you have, and super delicious too. Who doesn’t love a salty and sweet dessert? 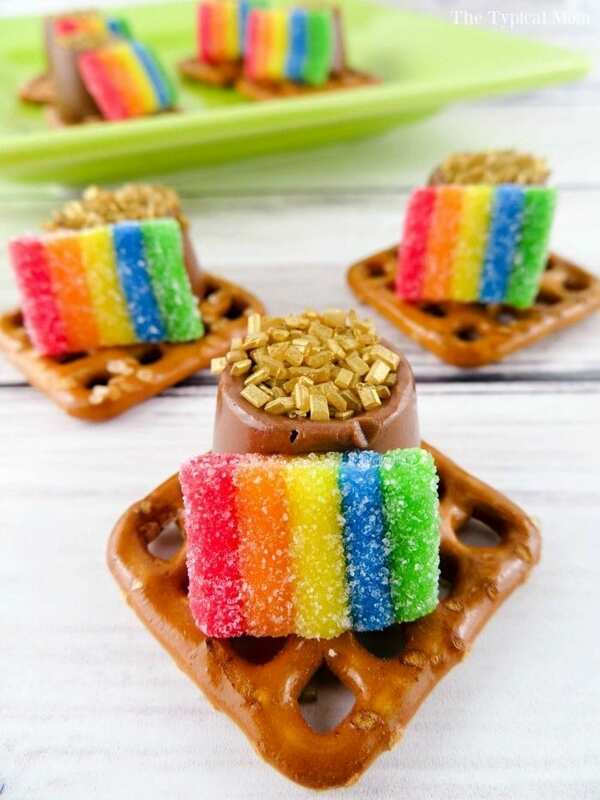 If you love these fun rainbow desserts you should try some of our other St. Patrick’s day crafts and activities for kids.